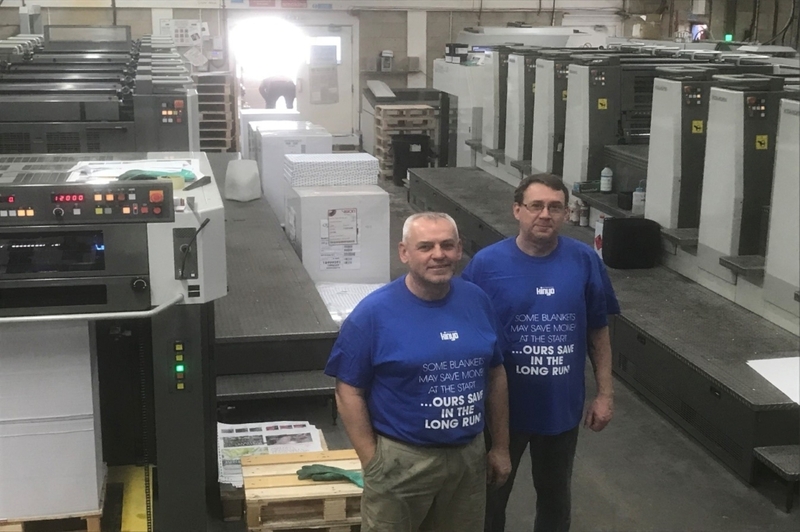 Providing H-UV blanket solutions to Indigo Press Ltd was essential in helping them to achieve their production goals, Indigo Press Ltd are rightly proud of the fact they run the only two Komori LS29 H-UV presses side by side, not only in the UK but also ‘in the world’ says John Ellis (Joint MD) – the Olympia LE blanket has worked across the board in all areas and helped them to solve a few technical issues. Printing on a wide variety of substrates the excellent release properties are one of the key benefits of Olympia LE. The dedicated EPDM UV surface is designed to work effectively with H-UV and LE-UV ink systems, whilst offering high resistance to embossing from aggressive UV inks and washes – its buffed surface is designed to offer excellent solid coverage without compromising on dot quality. Southampton based Indigo Press Ltd under its current ownership and since a management buyout in 2004, have invested over 3 million pounds in brand new machinery to ensure that the company is always at the forefront of technology and is able to produce the highest quality work to maximum efficiency. And we at Kinyo are very proud to be working with such a forward-thinking printing company. For more information about Indigo Press Ltd visit www.indigo-press.com or call on 0800 652 7299. For more information on the Kinyo Olympia LE blanket please give us a call on 0113 200 5680.